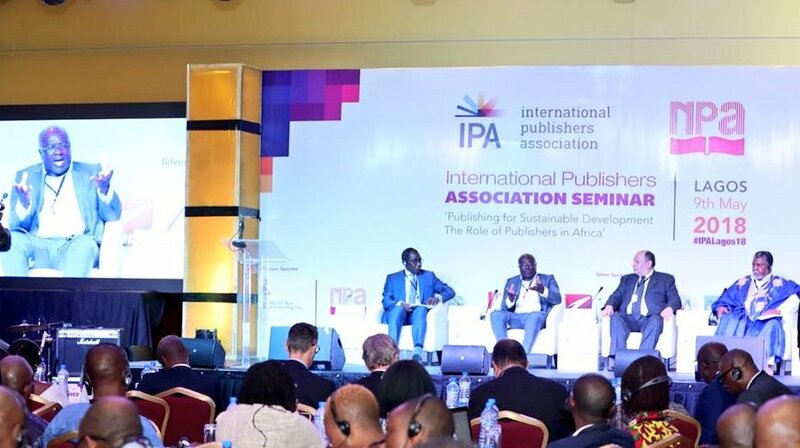 Founders of Nigeria's digital publishing company, Publiseer, Chidi Nwaogu and Chika Nwaogu, will be speaking at the International Publishers Association (IPA) Seminar in Nairobi. themed "Africa's Rising: Realising Africa's Potential as a Global Publishing Leader in the 21st Century". Together with the Kenyan Publishers Association (KPA), IPA will be holding the seminar on the 14th and 15th June 2019, which will bring together publishers, educators, government officials, readers and writers under one roof to discuss the challenges and opportunities in the publishing industry. "This seminar will bring together publishers, educators, government officials, readers and writers under one roof to discuss the challenges and opportunities in the publishing industry. Please find attached an invitation letter signed by the Presidents of IPA and KPA. I do hope you will join us and share your insights with us," says Bodour Al Qasimi, the Incoming Vice President of the International Publishers Association. This seminar comes after a successful seminar in Lagos in May 2018. which focused on the role of literary culture, and the challenges facing the book publishing industry in African countries. The International Publishers Association aims to continue to present this kind of seminars across Africa, and have chosen Nairobi as its next host city. The seminar will be taking place at the Mövenpick Hotel in Nairobi, and the founders of Publiseer will be speaking at the 4th-panel discussion "Digital Transformation and Disruption in African Publishing, which will be taking place on the first day of the seminar. The seminar will deliver critical insights on global publishing industry issues and their impact on the region. Proposed areas of discussion will include how to strengthen educational publishing in Africa; the role of technology in overcoming illiteracy; and how to bring the voice of African writers, publishers and content creators to the world. The event will include representatives from a wide geographical reach and the audience will include both regional and international publishers, editors and agents. Publiseer is a digital publisher that helps African writers and musicians from low-income communities to distribute and monetize their creative works across over 400 digital stores in 100 countries, with just a single click and at no charge. Publiseer became profitable after eight months from inception, and has been described by Konbini as "one of the largest digital publishers in Africa" and by IFC as one of the startups "that could speed up innovation in Africa." The digital publisher has received so many awards and recognitions, including becoming the first and only African publisher to join the International Publishing Distribution Association in Madrid, getting nominated for the 4th AppsAfrica Innovation Awards, receiving 'The Most Needed in the Region' award by African Entrepreneurship Award, emerging a finalist at a Harvard Business School New Venture Competition, and participating in the MIT Solve Global Challenges. Publiseer has been accepted in several accelerators and incubators, such as Microsoft's Accelerate Labs and University of Cape Town's Venture Incubation Programme. The digital publisher has been extensively covered by hundreds of media houses around the world for its exceptional achievements in the world of digital publishing.